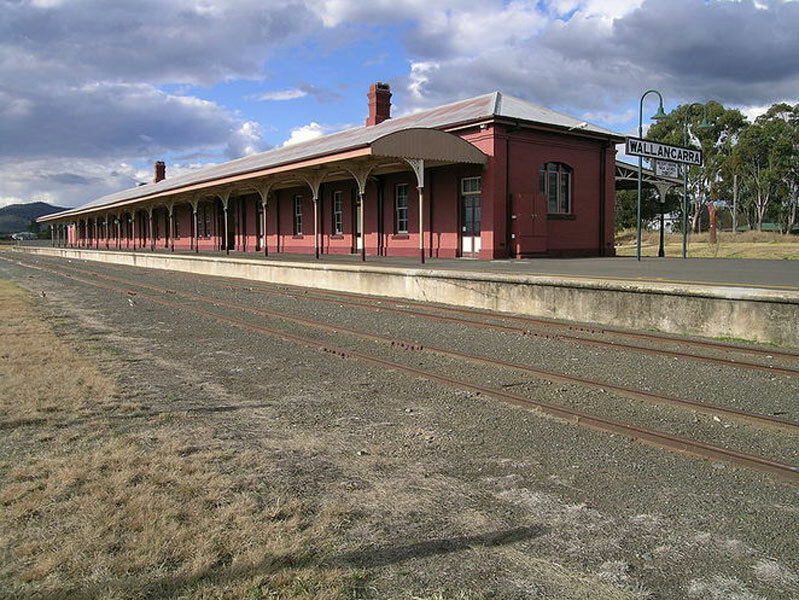 The railway station at Wallangarra was built in 1888 to service travellers who had to change trains from the standard gauge of NSW to Queensland’s narrow gauge. The two trains met here. 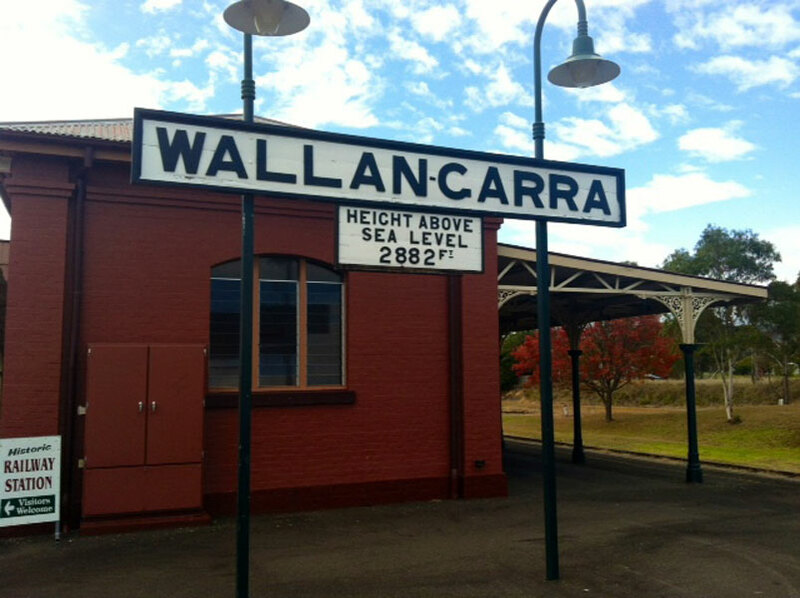 You can stand on the platform with one foot in NSW and the other in Queensland. Note the differing architecture of the platform façades too. 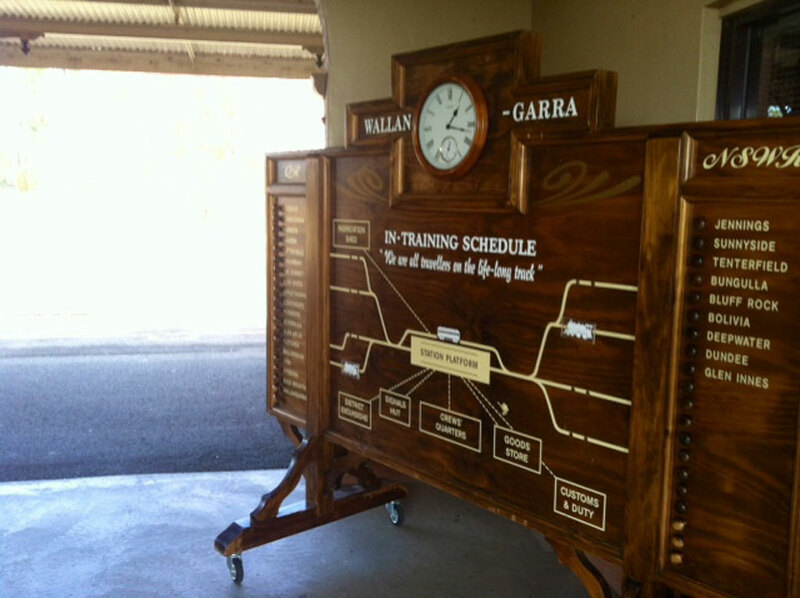 One side of the platform reflects the NSW standard design for railways of that era, the other Queensland’s design. 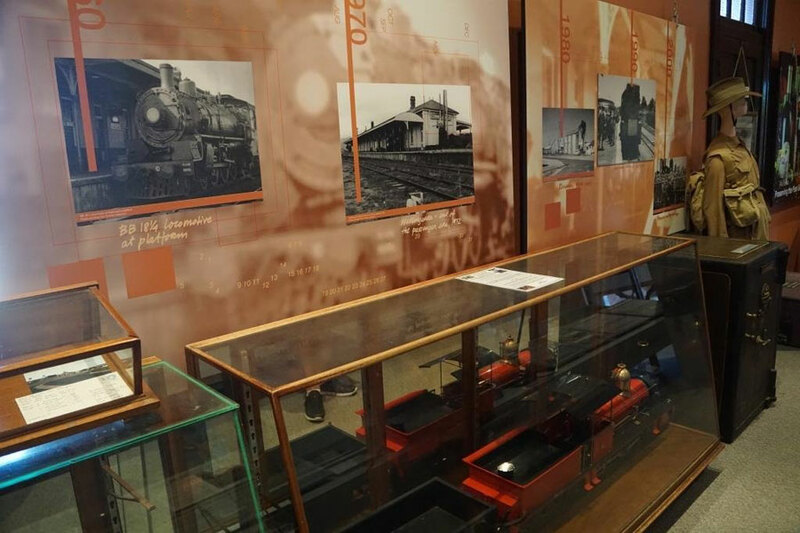 There is a small and fascinating (and free) museum within the station buildings and a café is situated in the old railway dining rooms. 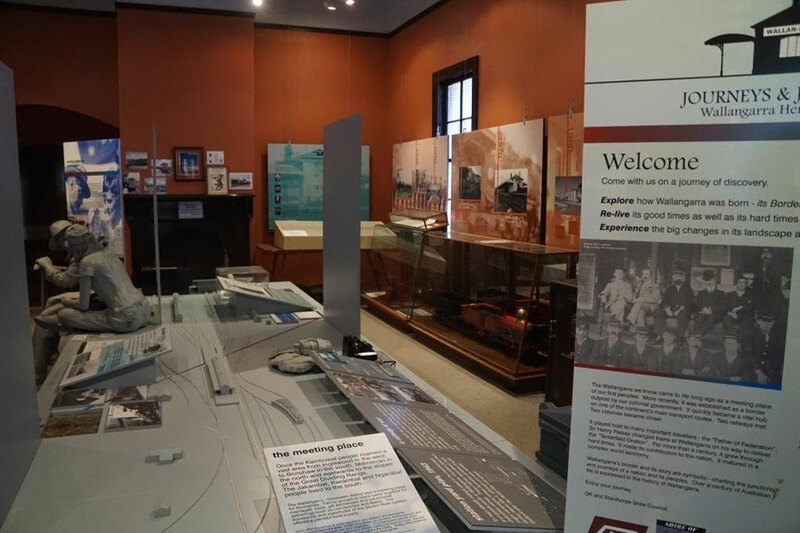 The Wallangarra Railway Museum is a free entry museum situated in the Station masters office and it is housing many press cuttings, memorabilia and a simulator booth (interesting experience). The original Railway Refreshment Rooms are now a Café and the size of the room shows just home many people would have been making their transfers between trains.